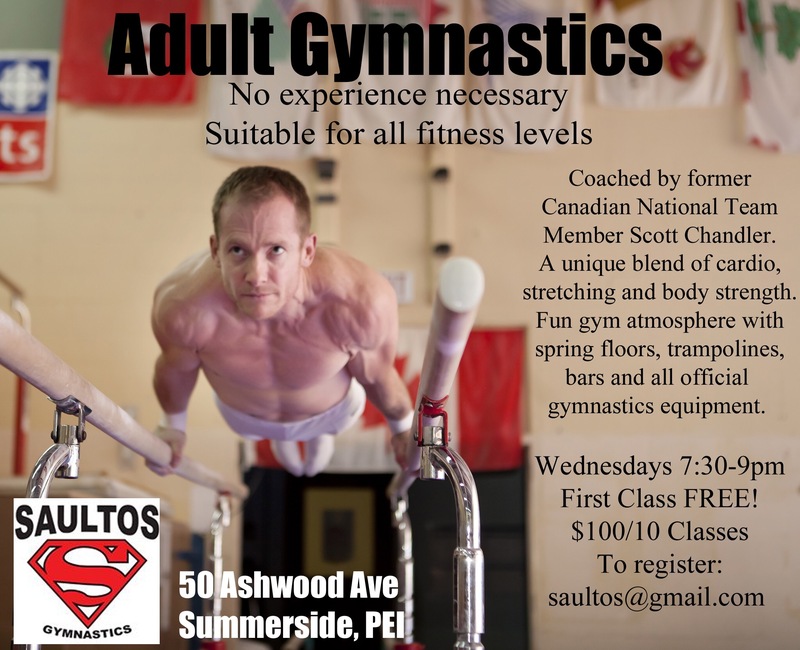 Adult gymnastics is finally back! If you’re looking for a fun way to stay in shape come give it a shot. Coached by PEI’s best gymnast of all time Scott Chandler. Classes are every Wednesday from 7:30-9:00pm and your first class is free!